The United Nations Convention on the Rights of Persons with Disabilities (CRPD), adopted in 2006, aims to “promote, protect and ensure the full and equal enjoyment of all human rights and fundamental freedoms by all persons with disabilities, and to promote respect for their inherent dignity”. It reflects the major shift in global understanding and responses towards disability. ■ Provide governments and civil society with a comprehensive analysis of the importance of disability and the responses provided, based on the best available evidence. ■ Recommend national and international action. 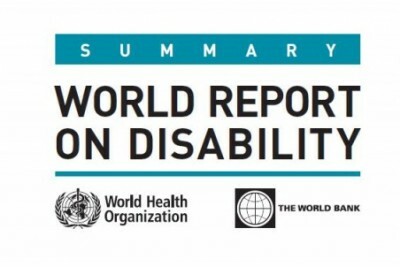 The International Classification of Functioning, Disability and Health (ICF), adopted as the conceptual framework for this Report, defines disability as an umbrella term for impairments, activity limitations, and participation restrictions. Disability refers to the negative aspects of the interaction between individuals with a health condition (such as cerebral palsy, Down syndrome, depression) and personal and environmental factors (such as negative attitudes, inaccessible transportation and public buildings, and limited social supports).